The post 16 Best High-Yield Savings Accounts for 2019 (Daily Updates) appeared first on Club Thrifty. Tired of earning next to nothing in your savings accounts? Me too. Still, we have to save our money somewhere, right? If you’re looking for the best spot to stash your savings, emergency fund, or vacation fund, consider using a high-yield savings account. All the top high-yield savings accounts offer rates higher than these, and it’s not even close. Even better, just like traditional banks, they’re all FDIC (or NCUA) insured. That means up to $250,000 of your money is insured at each bank through the full faith and credit of the U.S. government. We’ve created a list of the best high-yield savings accounts, and we update many of the rates daily! So, what are the best online savings accounts right now? Let’s take a look. Our Top Pick: CIT Bank Savings Builder account offers a top-tier rate of 2.45% APY, CIT Bank’s Savings Builder is our favorite savings account on the market. The account is free to open, there are no monthly service fees, and the 2.45% APY rate is easy to earn and encourages savings. Simply make a $100 deposit each month, and you’re good to go! Learn more here. CIT Bank (FDIC #58978) provides online banking services throughout the U.S. They recently released their new Savings Builder account, and we think it’s awesome. In fact, we think it’s the best high-yield savings account on the market because it actually encourages savings habits. The two-tiered account currently offers a top rate of 2.45%…and it’s super simple to earn. Simply make a $100 deposit each month and you’ll keep the rate. So, not only are you saving money, you’re getting rewarded for it as well! The money market account at CIT Bank also offers a nice 1.85% APY rate, making it another one of our favorite online savings products. Additionally, CIT Bank offers IRAs and custodial accounts. Synchrony Bank (FDIC #27314) offers an savings account with no minimum balance required. Combined with the fact that they have no monthly service fees, and this is one of the best high-yield savings accounts you’ll find. Part of Synchrony Financial, a Fortune 500 company, they are consistently found at or near the top of our list for their competitive rates and excellent customer service. In addition to their high yield savings account, they also offer money market accounts, CDs, and IRA options. Barclays Bank (FDIC #57203) is probably the most widely known bank on this list. A giant in the British banking scene, most Americans probably recognize Barclays for their credit card offerings. However, when it comes to rates, Barclays also offers one of the best online savings accounts around – which is why it ranks so highly on our list. There is no minimum to open the account and no hidden fees. Additionally, you earn the same rate no matter what your daily balance reads, making it a great choice for both new savers and super savers. Like the other banks listed, Barclays also offers online CDs with competitive rates and terms. Ally Bank (FDIC #57803) was one of the pioneers of online banking, which also makes them one of the most recognizable names on the list. They are known for their competitive rates and no monthly maintenance fees, and you earn their rate no matter your balance. With their high-yield savings account offering the same rate across all tiers, Ally still gains high marks on our list. In addition to its online savings account, Ally Bank also offers online interest checking accounts, CDs, money market accounts, loans, and more. Live Oak Bank (FDIC #58665) has been around since 2005. They offer competitive rates and good service, making them one of the best online savings accounts you’ll find. 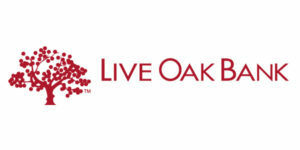 With Live Oak Bank, there are no monthly maintenance fees. While Live Oak does have some miscellaneous fees, they offer a low minimum balance of $10.01. Fund transfers are done through another external bank account you can access your account any time through their mobile app. Marcus (FDIC # 33124) is the online banking option from Goldman Sachs. Their best high-yield savings account offers a competitive APY, which you can claim with only a $1 deposit. Additionally, their online savings accounts have no fees and no minimum balance. Marcus also offers fixed-rate personal loans and CDs. Unfortunately, they don’t offer a debit card or ATM card and you can only transfer funds in your account through a linked traditional bank account, direct deposit, or a wire transfer from another bank. HSBC (FDIC # 57890) offers a Direct Savings account with a competitive interest rate. This account has no hidden fees and only requires a deposit of $1 to open. As a Direct Savings customer, you’ll also have access to their Money Management Tools. These tools allow you to organize your finances, set up savings goals, and plan a budget. You can also set email alerts and watch your financial progress. In case you’re wondering, you can also access your Direct Savings account 24/7 online or through HSBC’s mobile banking app. American Express Personal Savings (FDIC # 27471) allows you to link 3 external bank accounts to your high-yield savings account, allowing you to move money easily between accounts. There is no minimum balance required, no minimum opening deposit, and no fees. Interest rates on their online savings accounts are competitive, although you can find higher rates elsewhere. American Express also offers CDs, but no checking accounts. VIO Bank (FDIC # 4063) currently offers one of the highest APYs you’ll find on this list. This high-yield online savings account requires a $100 minimum deposit to open, but you’ll find no monthly fees once you’ve deposited your money. To put money in your savings account, funds can be transferred by ACH through external bank accounts. Vio also offers a free app, online banking, and live customer service agents you can speak with should you need help. Citizens Access (FDIC # 57957), part of Citizens Bank, offers very competitive online savings accounts with some very nice average yields. You won’t find any monthly fees, but there is a kicker. Citizens does require a minimum $5,000 balance to keep their best rate. Dipping below the minimum will cause you to lose the rate. Citizens Access doesn’t offer checking accounts and requires either an external bank account or check deposit to transfer money. They also don’t offer a mobile app, but their website is optimized for mobile use. Boasting a highly competitive rate, Pure Point Financial (FDIC # 22826) is a good option for a high-yield savings account…if you have a lot of money to deposit, that is. At Pure Point, there is a $10,000 minimum to open an account, which could obviously be a hindrance to some people. You’ll also need to maintain that balance in order to earn their top rate. Balances falling below $10,000 see their rate drop all the way to 0.25%. Yeech. With that said, the only fee Pure Point charges is a $10 excess activity fee for making more than six transactions a month. You can also access your account from anywhere via desktop, tablet, or mobile phone. So, if you’re looking to stash more than $10,000 with minimal fees, this might be your account. As far as high-yield savings accounts go, Alliant (NCUA # 67955) has a very nice offering. In fact, their current interest rate competes with some of the best online savings accounts. Alliant customers can access their account anytime through their mobile app. If you elect to receive paperless statements, there are no fees. They also have a low-barrier to entry, with a minimum deposit of just $5 required to open a new account. Additionally, Alliant lets you make deposits and withdrawals at thousands of ATMs nationwide. They also offer checking accounts, custodial accounts, and CDs. As a credit union, Alliant is insured by NCUA – which offers the same protection $250,000 protection as FDIC-insured accounts. TIAA Bank (FDIC #34775) only offers a basic online savings account. There is a $25 minimum to open an account, and the account is actually IRA eligible – making it a great companion to TIAA’s basic checking account. If you’re looking for better rates, you may still be able to find them here. TIAA Bank is best known for its Yield Pledge checking accounts, money market accounts, and CDs, which actually offer higher APYs than their savings accounts. Additionally, TIAA Bank also offers personal lending and investment options for customers. Capital One 360 (FDIC #33954) packs a very recognizable punch, but it doesn’t have quite as high of APY rates as many of the other online banks on this list. With that said, they do offer some flexibility that other banks don’t. Capital One 360 savings accounts have no fees and no minimum balance. You can transfer money to your account by making a mobile deposit, setting up an Automatic Savings Plan, transferring money from another Capital One account or external bank account, or by wiring money into the account. Customers can also make a deposit at one of the 39,000 Capital One and AllPoint® ATMs across the country. Fans of technology will also love that Capital One 360 offers an excellent mobile app. Be aware that ClearConnect savings accounts don’t have quarterly fees, but they do have other various fees. Check their terms and conditions for details. BBVA Compass also offers checking accounts, CDs, and IRA accounts, as well as credit cards, mortgages, and auto loans. How Do High-Yield Savings Accounts Work? So, why not just keep your dough in your checking account? Well for starters, most checking accounts don’t pay interest unless you have a high daily balance. And, per federal regulations, savings accounts are limited to six outgoing transactions per statement cycle, including transfers and withdrawals. This keeps you from using it as a checking account. However, like checking accounts, savings accounts with these banks are FDIC or NCUA insured, which means the bank insures your money up to $250,000. Depending on the bank, the interest you earn can be compounded daily or monthly. Additionally, online savings accounts generally offer much higher interest rates than traditional savings accounts. These high-yield savings accounts are perfect for things like an emergency fund, travel fund, or any other special savings fund you’d like to create. How are Savings Accounts Different from Money Market Accounts? As consider your options, you’ll notice some differences between savings accounts and money market accounts. Money market accounts typically combine the best parts of savings and checking accounts. Additionally, money market accounts will often earn more interest than a typical savings account. With that said, interest rates for high-yield savings accounts are often on par (or higher) with money market accounts. Money market accounts often are attached to debit cards and checks but are limited to six outgoing transactions per statement cycle, just like savings accounts. Additionally, these accounts often will have a longer waiting period after withdrawals. Still, most of the differences between money market accounts and savings accounts have to do with what the bank is allowed to do with those funds. If you’re struggling to save, here’s an option that might help. Digit offers an online service that helps you automatically save every day. After connecting your accounts, the program will analyze your spending and saving habits. Then, Digit transfers small amounts of money each day to a savings account for you. You’ll start saving more without lifting a finger. Digit is free for the first 30 days, then just $2.99/month after that – which is well worth it if it helps you save! Read our complete Digit review to learn more or get started for free here.